There have been some dramatic races in Whistler over the years, but round six of the Enduro World Series, the CamelBak Canadian Open Enduro presented by Specialized, will go down in history as one of the most fiercely contended yet. 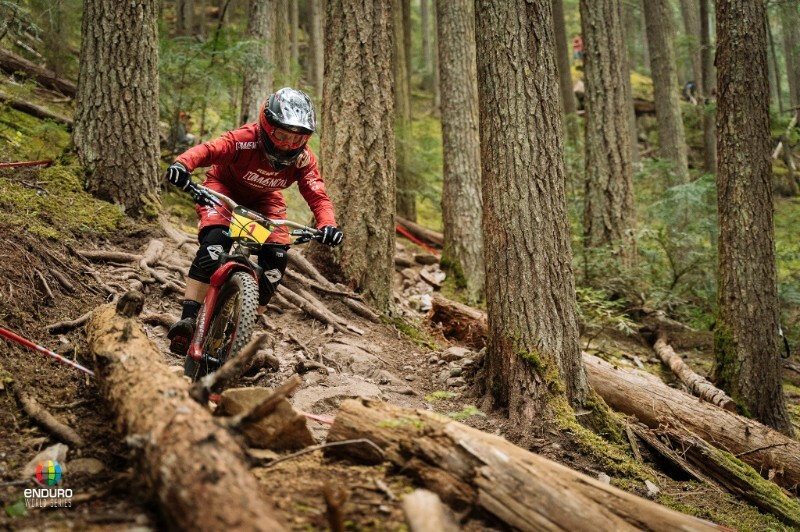 Check out full results of the Enduro World Series Whistler here. 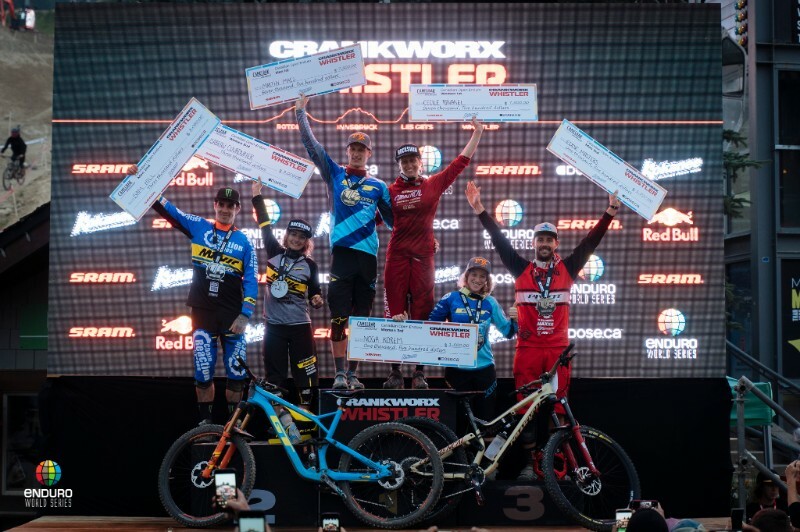 Three hundred riders, five big stages, and once more it all came down to the final stage in the men’s competition of the Enduro World Series Whistler. The scene was set early in the day when after the first three stages Martin Maes (GT Factory Racing) led Richie Rude (Yeti/Fox Shox Factory Race Team) by less than half a second. Maes was able to extend his lead going into the final stage of the day to 1.5 seconds. But that’s not much of a cushion heading into a 20-minute stage that started with the famed Top of the World trail. 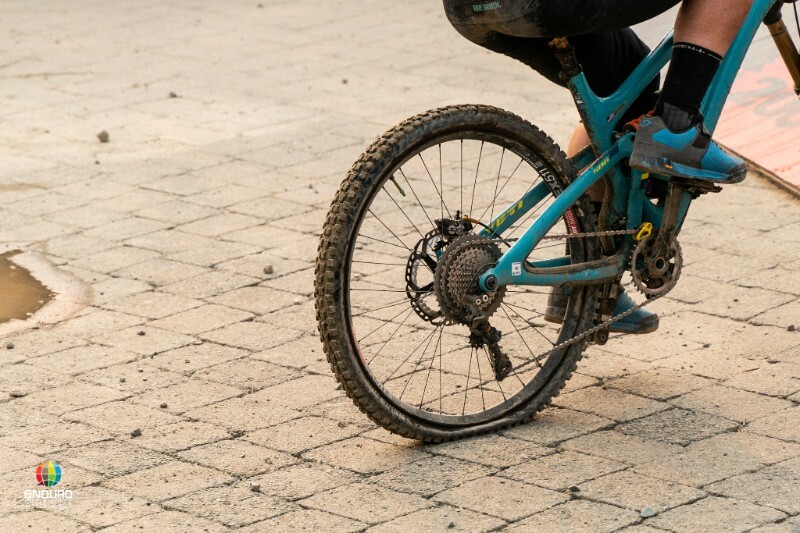 Unbeknownst to Maes, a rear flat put Rude out of contention early in the final stage of Enduro World Series Whistler, meaning it was now series leader and reigning champion Sam Hill (Chain Reaction Cycles-Mavic) who was his primary competition. But despite putting down a solid run, Hill couldn’t touch Maes, who secured the second Enduro World Series win of his career. Hill had to settle for second place, while Eddie Masters replicated his round five performance, with his consistency throughout the day earning him third place. In the women’s Enduro World Series Whistler race it was more familiar territory, as Cecile Ravanel (Commencal Vallnord Enduro Racing) won all five stages. Isabeau Courdurier (Intense-Mavic Collective) was also consistent, finishing the day in second place as she has every race this season. Noga Korem (GT Factory Racing) fought hard all day to claim third place. France’s Cecile Ravanel continued her perfect season at Enduro World Series Whistler. Photo courtesy Enduro World Series. In the U21 women Ella Conolly continues her unbeaten streak, with Lucy Shick in second and Julia Long in third. Leader of the U21 men’s category Elliot Heap (Chain Reaction Cycles-Mavic) wasn’t on the start line due to a hand injury picked up in practice, allowing Theotim Trabac (Commencal Vallnord Enduro Racing Team) to capitalize and take the win. Max McCulloch took second and Cole Lucas (Cube Action Team) went third. 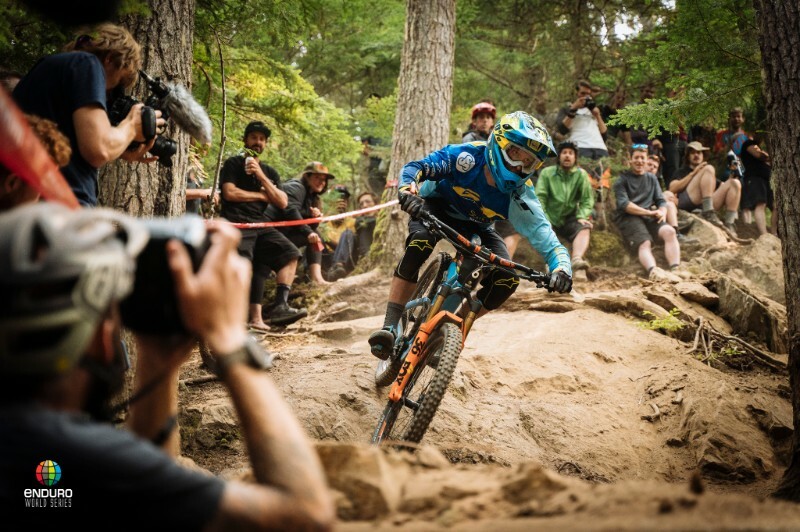 In the team competition at the Enduro World Series Whistler it was Commencal Vallnord Enduro Racing who were named Team of the Day, but it’s Canyon Factory Enduro Team who still lead the team standings in the overall. The Enduro World Series returns for the penultimate round, Festival Zona Zero Sobrarbe, in Spain on September 22-23. Check out more mountain bike race coverage on Mtbr.